At U.S. Diamond Tool, we know that getting precision results requires the right tools. 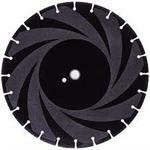 Cutting masonry materials is a serious matter, so we offer superior dry diamond saw blades for every type of project. Whether you are a hobbyist working at home or a professional contractor, our hand-picked, high-quality selections will provide the backbone to help you get the job done right. Browse our diamond blades to find the perfect replacement blade or new addition to your collection. Versatile general purpose blades are ideal for cutting a variety of materials such as concrete, brick and block. Use our rescue blades to cut everything from wood and concrete to PVC pipe and steel. 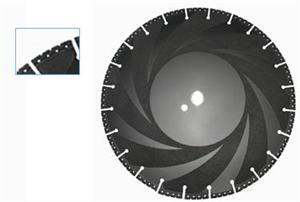 Our segmented and tornado turbo blades deliver long life and enhanced speed. 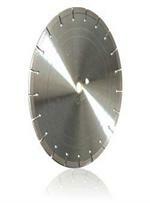 We also offer the best ring saw blades for Husqvarna Ring saw machines, ductile pipe blades and more. U.S. Diamond Tool has been manufacturing and selling elite quality tools and accessories for more than 40 years. If you have questions about our saw blades, or you need assistance finding the right product, just give us a call at 1-800-582-1429. Our friendly and knowledgeable staff is ready to help you tackle your project with tools that meet your exacting standards. 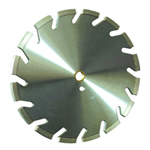 General Purpose Blades are used for cutting a variety of Masonry Materials. Concrete, Block, Brick. Cut Just About Anything with our Rescue Blades. Steel, Concrete, PVC PIpe, Ductile Pipe, Wood. For Use on Low Horsepower Walk Behind Saws less than 20 HP. 12"-16" Blades can also be used on high speed saws. 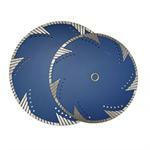 Segmented Turbo Blades are an excellent choice for cutting all masonry materials. They offer exceptional cutting speed and long life even in extremely hard materials. 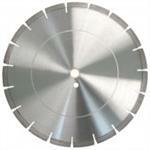 Tornado Turbo Blades are used for fast cutting of tile and hard masonry materials. Paver Brick Blades offer the fastest cutting spped and longest life when cutting paver bricks, stone and other hard materials. 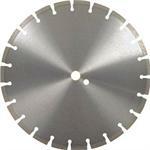 Used with Husqvarna Ring Saw Machines, Ring Saw Blades have a 10" maximum cutting depth.